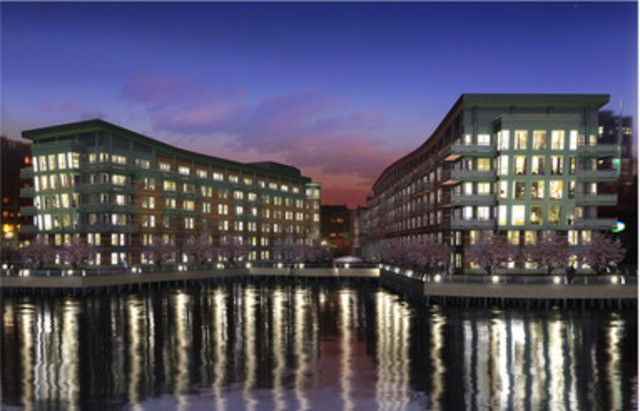 Battery Wharf offers a European luxury lifestyle in Boston’s North End Waterfront. The residences at Battery Wharf were developed and designed by a highly talented team, respectively Harold Theran of the Development Corp and the Architectural Team, Inc. Currently, Battery Wharf is managed by Barkran Management, the same company responsible for the management of Trinity Place, and the Residences at the InterContinental. The 104 residences at Battery Wharf range from 1 to 3 bedrooms, or 900 to 2,500 square foot homes. The interior of the home was elegantly designed by Gauthier-Stacy. An inviting atmosphere was created with modern and clean-cut design elements. Kitchens are completed with top-of-the-line stainless steel appliances and offer not only a place to cook, but also a place to entertain and spend time with friends and family. Entertainment options can extend to the balconies, which offer you an easy escape to the outdoors and give you incredible water views. For personal time, you can escape to the spa-like bathrooms that are outfitted with glass showers and large baths. Everything that you need is offered within the building or steps away from your front door. Full service offerings include a concierge, valet parking, in-residence dining, housekeeping, laundry, pet walking, babysitting, and personal shopping. While Battery Wharf is located in Boston’s North End, American-Italian neighborhood, and there are a plethora of delicious and authentic restaurants in the area, right below your home, you can dine at Aragosta Bistro. Chef David Daniels runs the highly rated restaurant and uses local, farm-raised food for his signature dishes. In between meals or when you have time, you can relax and revive your body at Exhale Mind Body Spa. At Exhale, not only are you able to access a full range of spa therapies, you will also be able to take core fusion and yoga classes lead by Best of Boston instructors. Batter Wharf is part of the Waterfront’s Harborwalk that stretches 26.9 miles along the Boston Harbor. Anytime of year, you are able to enjoy one of Boston’s hidden gems and access the beautiful walk easily. Other historic sites, such as Faneuil Hall, are also within walking distance. If you are looking to explore other parts of Boston, you can hop on the subway at Government Center or Haymarket T stops.